Editors everywhere will welcome the return of PhraseFind and ScriptSync to Avid’s Media Composer at the 2017 NAB Show. At the 2017 NAB Show, Avid will be bringing back two old friends to their Media Composer edit systems: PhraseFind and ScriptSync. 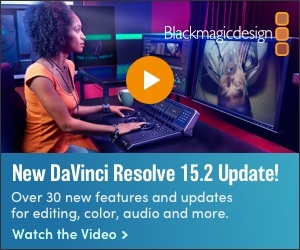 Not only are these options for this industry favorite NLE available again, but Avid insists they are “enhanced versions” compared to the ones we had to sadly say good-bye to in 2014. The “whys’ and “wherefores” make a story in themselves. ScriptSync is like having a script supervisor in your edit computer. First, the basics. ScriptSync is a phonetic indexing option that inputs the text of a script, then listens to the recorded track of each take and indexes it’s words to the relevant part of the script. Now the editor can identify all the takes by their reference to a given script section. PhraseFind lets you find sections of the recorded media by searching for spoken words and phrases, thereby eliminating hundreds of hours of logging material just to know what you have and where it is. PhraseFind is even clever enough to deal with a remarkable range of dialects and accents, and can be set to handle a spectrum of languages. As Colantuoni explained it for us, “Nexidia has technology that takes spoken words and transitions them into voice metadata that is searchable. Since it last appeared in Media Composer, they have made that technology, and its related search engines, even more robust. ScriptSync was first introduced to rave response in 2007. PhraseFind joined it in May 2011. Both were discontinued in May 2014. It happens that Nexidia and their lucrative phonetic engine technology is very involved in many other industries and wanted to expand its relationship with Avid beyond Media Composer and to the MediaCentral platform. The withdrawal of their license in 2014 seems to have had much to do with Nexidia’s desire to have more customer accessibility on an enterprise level. Now those considerations and business terms apparently have been worked out, giving Nexidia more access to Avid’s platform and customers. But the only thing that matters to editors is, PhraseFind and ScriptSync are back! Colantuoni tells us that PhraseFind and ScriptSync only work as options for Media Composer and can be bundled with MC software or purchased separately. However, those who still have the older versions of PhraseFind and ScriptSync can even just buy updates. If you attend the 2017 NAB Show, even just a short booth demo will make you a believer. Having worked with these two software gems myself in their earlier incarnations, I can tell you they are a godsend when faced with ploughing through 100’s of hours of scripted, but unlogged, dailies.